Central to this PhD research was the problem of the lack of affordable housing for young starters in Malaysia. The solutions for affordable housing that are available in the market do not truly solve the problem from the customer’s point of view. Hence, it was important to analyse the contributing factors associated with the term ‘affordability’. The term touches upon interconnected elements that cover many issues ranging from demand (housing needs, demographics, household income, quality housing) to supply (the authorities’ requirements, design, cost, sustainability and procurement). In this thesis, we discuss some of the problems related to the supply and demand issues and examine a possible intervention to solve the problem. This research contributed to the body of knowledge by employing a prescriptive strategy and designing an innovative flexZhouse business model (BM), and by applying an in-depth strategy that revealed why the problem exists and why there is still no appropriate solution. The result provides a description of the situation that young starters find themselves in, the reactions of the industry’s key players and the policies that hamper innovation in the housing market. We applied the model of ‘design sciences’ as described by Van Aken (2004). The strategy first helped us to understand the problem (the issues related to the term ‘affordable housing’); the next step was to prescribe solutions for the practice by formulating the draft flexZhouse business model (BM). The mission of this research was to further develop knowledge for the design and understanding the problems that is, to provide alternative solutions to the affordable housing demands in the housing industry in Malaysia. We used the term ‘design research’ from Van Aken (2004) because the ultimate objective of studies in this category is to acquire a knowledge of how to develop solutions to problems in the real world (i.e. the new business model (BM) for affordable housing in Malaysia). The research was guided by the main research question ‘How can the flexZhouse BM provide a solution to the inflexibility, high prices and poor quality of newly built housing in Malaysia?’ The three main deductive codes were established as a priori codes derived from literature and constructed as the primary coding of design, finance and production. The three main problems were identified, namely inflexibility in design choices, high housing prices and poor housing quality. The focus of the research was established as the need for customization through design flexibility, the financial affordability and the housing quality in the production. Towards the end, several emerging codes were derived, those are; technical & technology, housing as an investment, housing ownership, accessibility, authority related matters and cultural and market acceptance. The draft flexZhouse BM, which was established by a conceptual framework derived from a literature review, proved to be useful for both theoretical understanding and the practical application of the preliminary idea of the flexZhouse. The draft flexZhouse BM makes use of an innovative leasing approach inspired by the concept of the circular economy to make the flexZhouse affordable for young starters. A series of focus groups and other data sources showed that the need for housing customization is high and widely acknowledged by the target group. However, we found that private developers are not ready for innovation and are likely to resist such change, also because they need a more concrete proof of concept before accepting it. Their reaction is partly caused by their resistance to change from the conventional method to a new system, and is partly a result of their caution in the face of a high degree of uncertainty. It also shows that the concept, which is still at the early stage, needs to be tested in the market before they will accept the new idea. Nevertheless, a positive reaction was received from the government sectors dealing with housing, which appear to be more open to new ideas to help the market to provide more affordable housing for the middle-income group. The flexZhouse BM provides a better understanding of the needs of and problems faced by young starters looking for their first home in Malaysia. The rejection by private developers of the flexZhouse concept shows their resistance to change, and is also due to the early stage of the flexZhouse BM proposal. 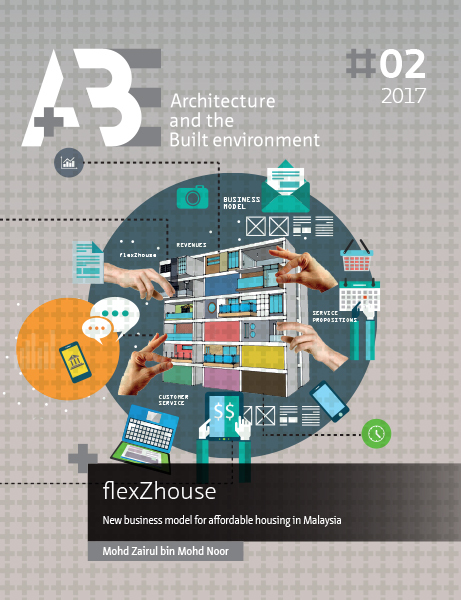 The flexZhouse BM creates an alternative solution to affordable housing programmes for the mass housing industry in Malaysia. The flexZhouse BM revisits the issue of sustainability in the mass housing industry in particular and in the construction industry in general. The flexZhouse BM extends the idea of ‘open building’ and the concept of ‘infill’ for housing. The flexZhouse BM is an innovative BM for the housing industry in Malaysia. Young starters in Malaysia are grappling with the issue of affordable housing and have low literacy in financial investment and management. Ownership is still a popular choice among young people in Malaysia, partly because of the ‘status quo’ among young Malays. The theoretical insights show that housing ownership is especially important for the security of future generations. The study also found that young starters need to be educated about the financial implications and about financial management to better understand the financial complications and to reduce the bankruptcy rate among young Malaysians. The empirical study was supported by the triangulation of data collected through a design workshop with architects, focus groups and examples from the industry. The qualitative approach combined both deductive and inductive codes that helped to shape the research and achieve the objectives of the research, namely to develop a new flexZhouse BM that would solve the problems associated with, for example, housing flexibility, housing affordability and housing quality in order to provide alternatives to the current affordable housing in Malaysia. The primary goal was achieved by deriving problems from the literature and formulating the answers to the research questions through BM components. The secondary objective was to use realism epistemology as a conceptual lens to help interpret the real meaning of why the problems exist and why a solution is needed. A member’s verification procedure for the focus groups data was made easy by applying ARC (ask, record, confirm) technique to validate the data from the focus groups in real time. In this research, the transcription process was facilitated by the Post-it note intervention. The Post-it note intervention helped summarize the transcription text and answered questions related to the study. Furthermore, this step also takes into account several emerging codes derived from focus group sessions. In the appendices, an audit trail is provided. It describes in detail the basic procedures that were used, such as the data collection strategy and the data analysis approach. An audit trail helps to enhance the methodological trustworthiness of research. Generalization was not the objective of this research. In the conclusions, a new theoretical insight was presented in the findings chapter. Its purpose is to indicate a new direction for the country’s affordable housing projects and to provide potential solutions to the current problems. The new ideas need to be tested in future studies. The flexZhouse BM combines innovative leasing with elements of the circular economy as part of the strategy to provide affordable housing to the customer. The research contributes to the scientific community by combining the idea of industrialized housing production with innovative leasing inspired by circular economy principles. This thesis is the first study to suggest integrating flexible housing with the circular economy. It therefore fills a gap in the knowledge about industrialized housing and industrialized building (IB) industry. The research, which pursued the identified problems by developing a new BM, will benefit the government of Malaysia, as it formulated a solution for affordable housing schemes and created an alternative BM for the housing industry.